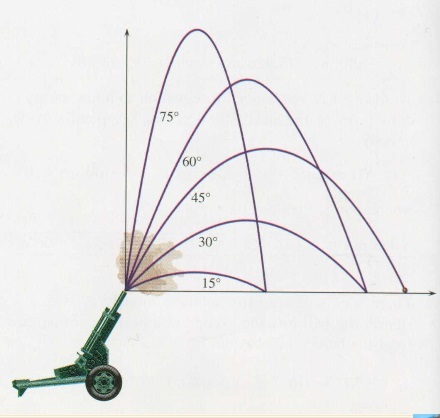 One of the digressions we follow almost every time I teach AP Physics is intended to give my students a better visual understanding of the 6 basic trig ratios. 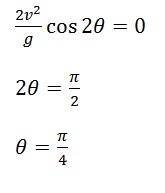 But it also resolves several mysteries left over from their first introduction to trig. What is “tangent” about the tangent? This is not just an etymology question. The word “tangent” is already part of our math vocabulary. We saw in geometry that at tangent line is a line that touches but does not cross a circle. 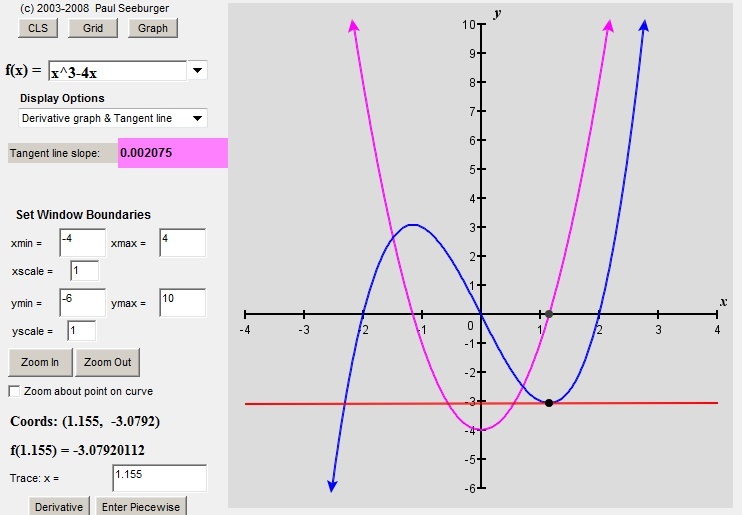 There are all kinds of rules about the angles and the lengths associated with tangent lines (and secant lines too, for that matter). But what does that use of the word have to do with the way we are using it now, here in trigonometry? What does this secant have to do with the secant we learned about in geometry? In geometry class, a secant is a line that crosses a circle. Is there some reason we are re-purposing this vocabulary? 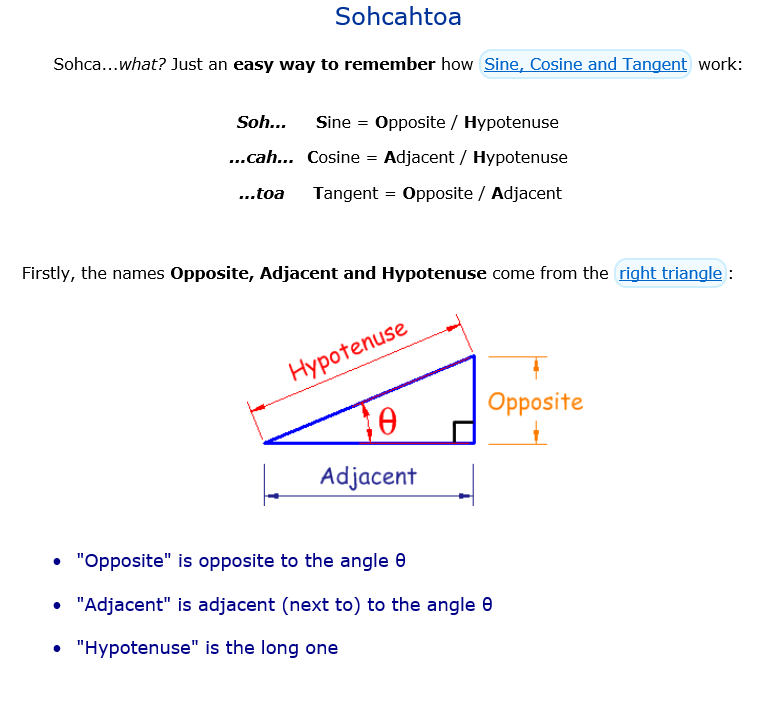 Why did you match “secant” with “one over COSINE”? And “cosecant” with “one over SINE”? Isn’t that making things unnecessarily complicated? What is “co-” about the cosecant? And the cotangent? As you will see in the next posts, there are lots of similar triangles waiting to be discovered in this diagram. Also, the Pythagorean theorem makes several useful appearances. 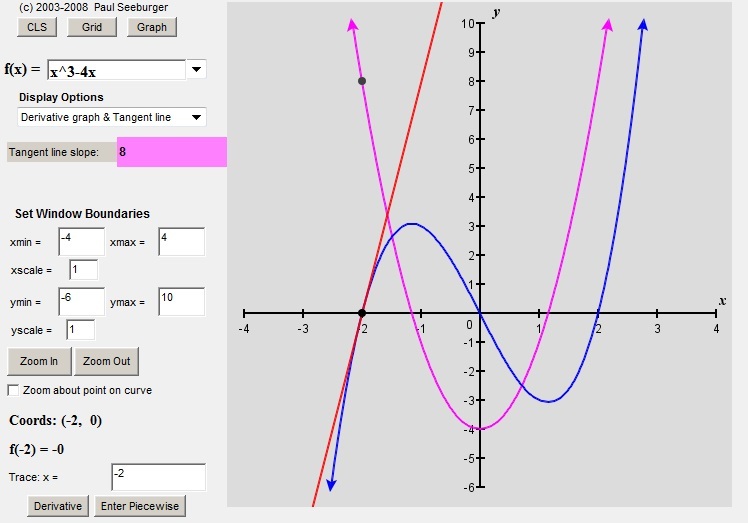 Look at the segments labeled sine, secant and tangent. Note their positions relative to the central angle, θ. One mystery solved: “co-” is for “complement” ! More mysteries to be unraveled soon. 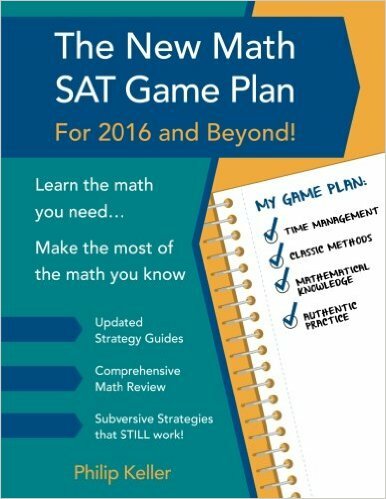 I have been known to rant occasionally about some of the curriculum choices we have made for high school mathematics. 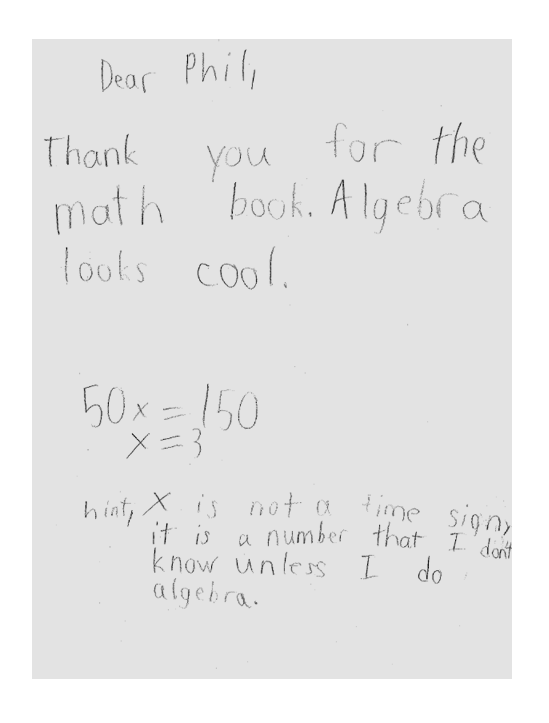 I feel the math we teach should be useful or interesting, and ideally both. But it should also be true! I think of that as the teacher’s equivalent of medical rule: first, do no harm. What brings this to mind is an email discussion I have been having with Dr. John Denker, a physicist who I have “met” through the Phys-L.org email list. 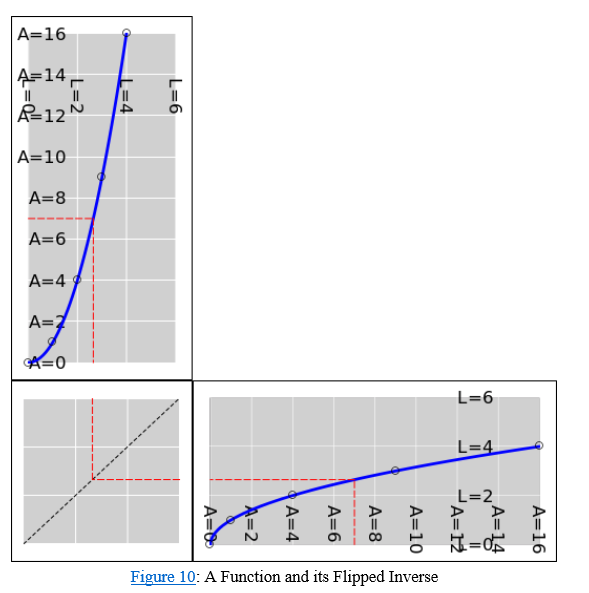 He has, as you see above, some very reasonable objections to the way that my book repeatedly points out the symmetry between the graph of a function and its inverse. I would like to discuss his objections here in this post and also to show his suggested alternative. 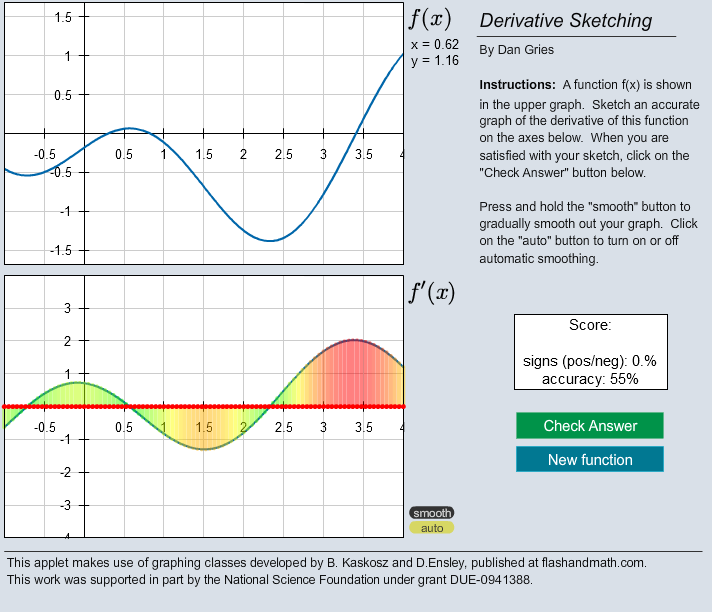 Then, in the spirit of this blog, our email discussion led me to remember a nice method for using graphs to evaluate iterated functions. I will write about that in another post soon. 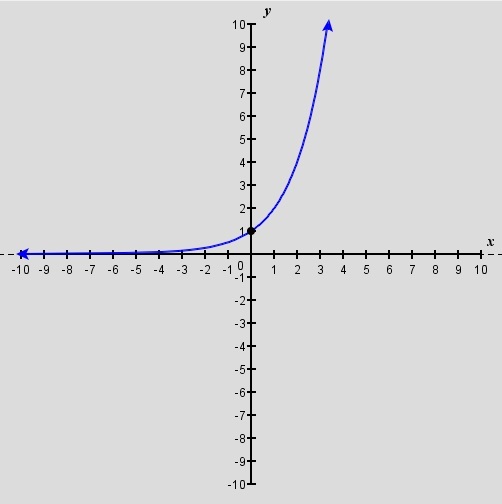 CLAIM: If you graph a function and its inverse on the same axes, the two graphs will have an interesting and esthetically pleasing symmetry with respect to the line y = x.
I am by no means the only one who makes this claim! 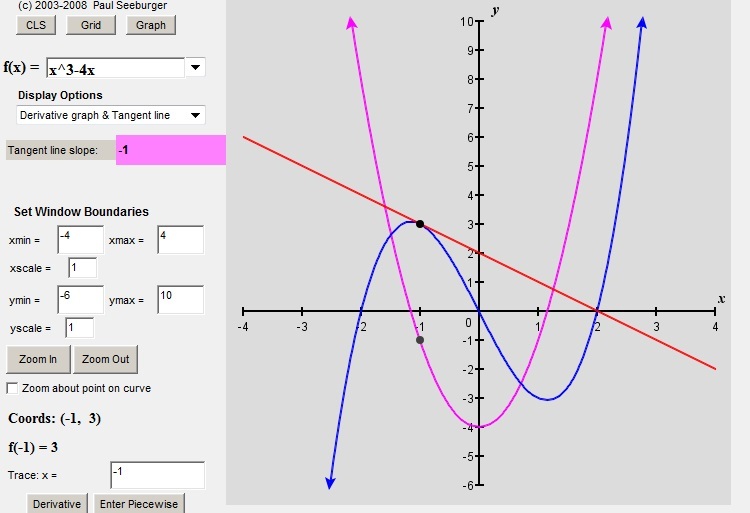 Search the web for “inverse function graph symmetry” and you will find that claim stated quite frequently. 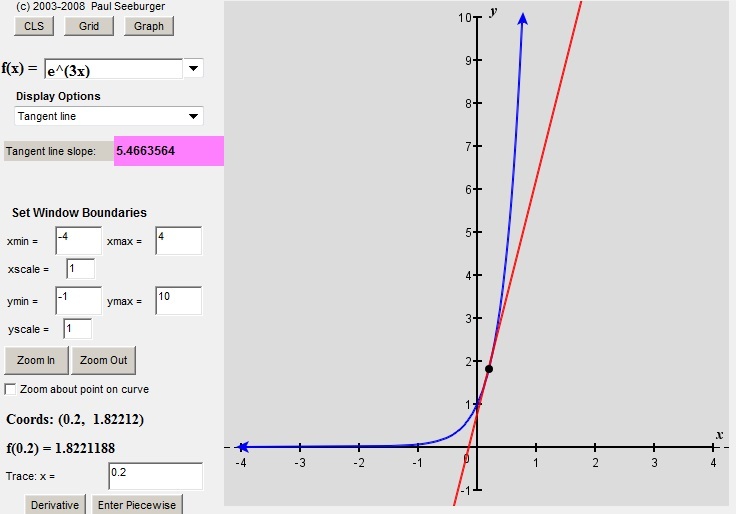 The graph above was made at www.desmos.com, a very user-friendly graphing site. And the graph certainly provides evidence in favor of the claim. And I personally find this to be, as I said, esthetically pleasing. Also, this idea is not without application. When you learn a formula for finding derivatives of inverse functions, this symmetry will present a graphical way to understand that formula. Still, if I had to guess, I suspect that most of the people who write about this claim do it because they like how the graphs look. They look nice. 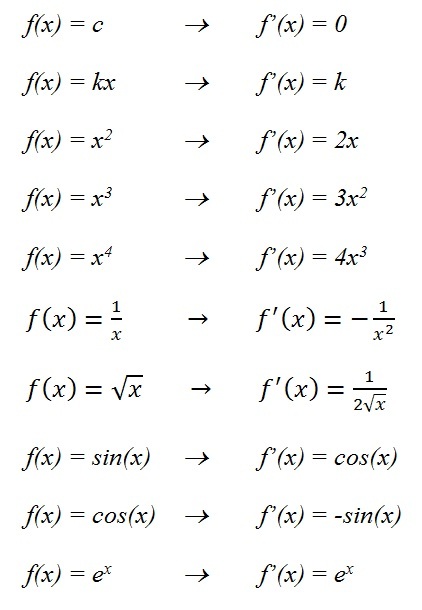 the inverse function. Just read the axes in the other order. That’s a good point. For example, let’s look again at the squaring function by itself this time. 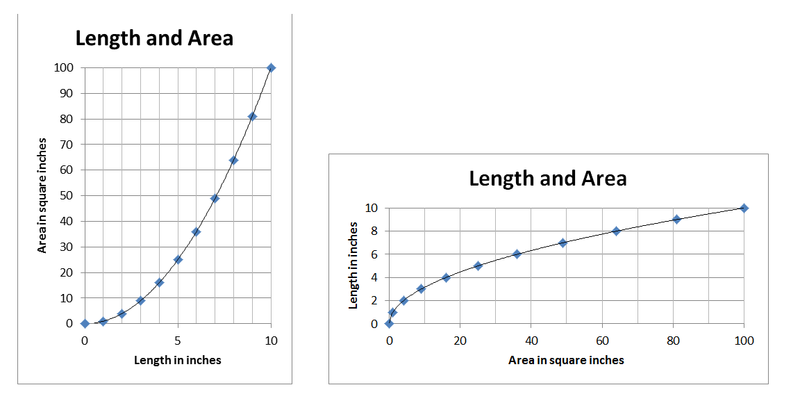 The graph is a convenient way to represent the relationship between the length of the side of a square and its corresponding area. 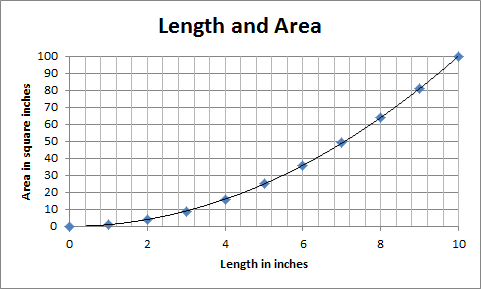 But if you already knew the area and wanted the length, you would not need to draw a new graph! You would just need to know how to read the graph you already have! You’d start on the vertical, area axis, go over to the curve and then read down to the horizontal axis where you would read the length. 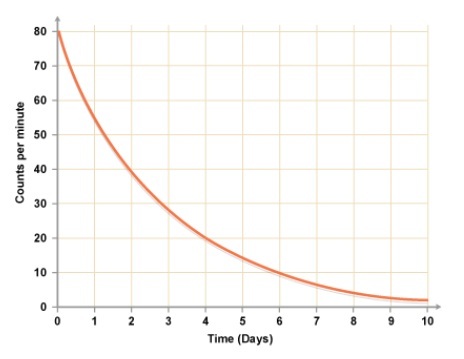 Same graph, different purpose. The flipped graphs do not have the right units on each axis! You don’t need to use sophisticated physics or chemistry to show this. 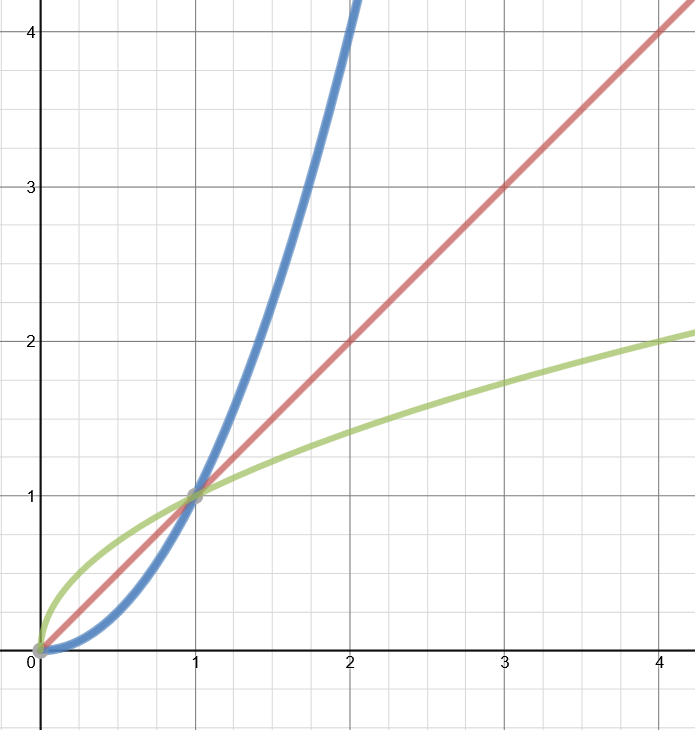 Our first graph above with the squaring function and the square root function illustrates the problem sufficiently. Look again at the vertical axis. Pick a number. OK, 2. But 2 WHAT? 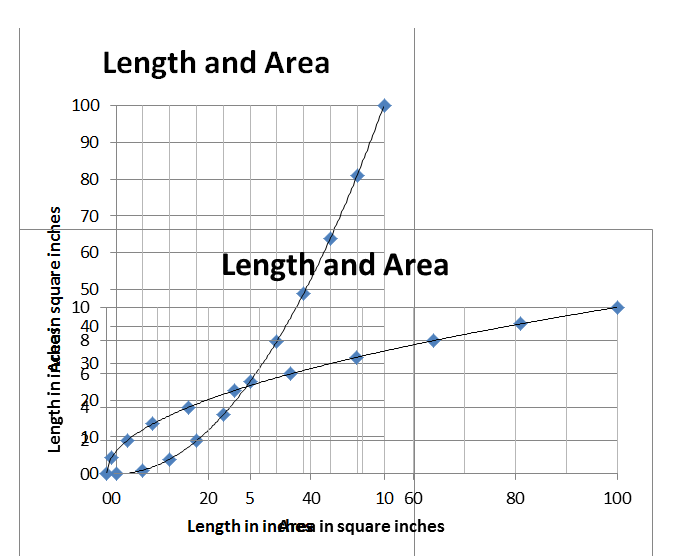 Is it inches or square inches? Meters or square meters? D’oh. It’s not as pretty, but at least its not wrong. When you are focusing on the math, it is easy to forget that these quantities have physical meaning and units that go with them. 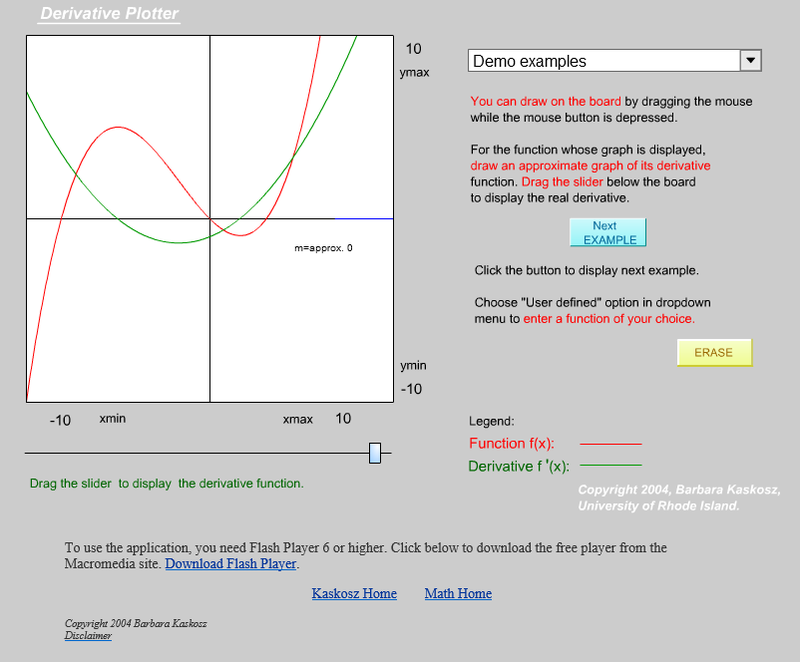 For example, there are many books and websites where you can see a function and its derivative graphed on the same axes. (It’s even done that way on some of the websites that I used in earlier posts about derivatives.) But that makes no sense! 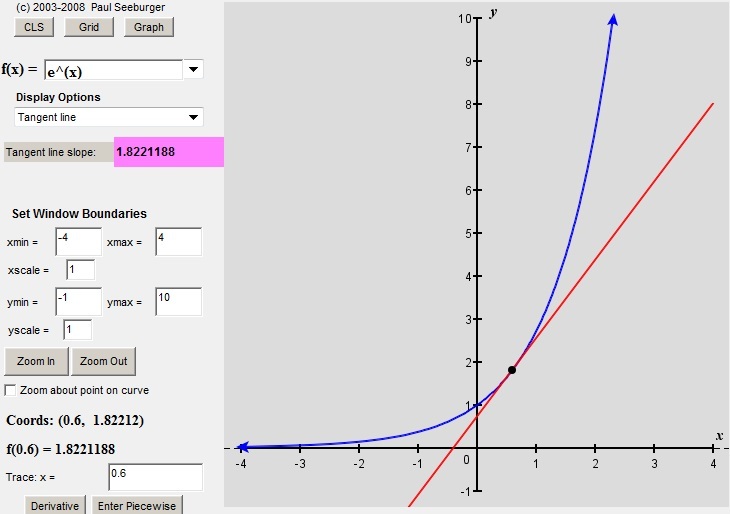 For example, how can you graph position and velocity on the same axes? They don’t have the same units. And an early review of my book! I admit that my blogging efforts have been side-tracked for a while. 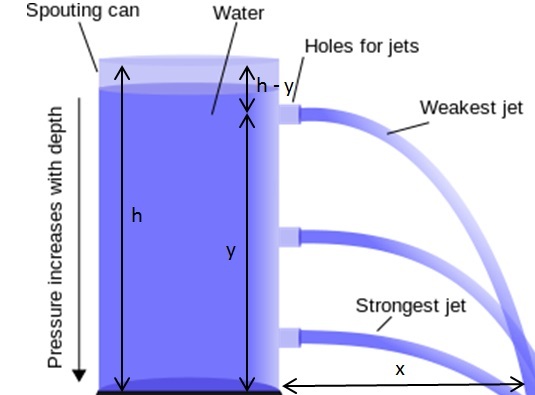 All of the posts since last summer have really been directed at my AP Physics students to give them a quick intro to the calculus we will be using this year. That course is well under way. And they are a fine bunch of students, doing quite well. Also, many of them are now at the point in their calculus classes where they no longer need my help. I will eventually add one more post about using anti-derivatives to find areas, but for now, I am eager to get back to the topics that originally motivated this blog. I want to write about ideas that didn’t quite fit into my book but that would still fit the overall theme of a first course in algebra. And I want to discuss questions that come up as people read my book. The book is now available,as you may have guessed from the subtle ads on the right. And I am hoping readers will ask questions, make comments, offer suggestions. You can email me or use the “Questions” tab above. I’ve already received some very interesting feedback which I will discuss in the next post. But for now, I just want to share the first review. Boy, it’s a good one! 1. 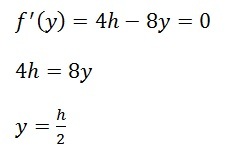 I want to introduce anther notation for derivatives. The expression is telling you to find the derivative of the function f with respect to the variable x. For now, this seems like a more cumbersome notation but there will be times when you appreciate its clarity. It leaves no doubt about what variable you are working with. This will be critical when you are working with functions of more than one variable. Here we are figuring that by using the dot notation, we are implicitly saying that these are both functions of time. OK, this brings us to the practice set. I have posted it here as a pdf. Note to my Holmdel students: I have also emailed it to your school account. So if you did not get it, you should email me to ask to be added to the mailing list. If you have any questions, post them here as comments (Holmdel student or not).